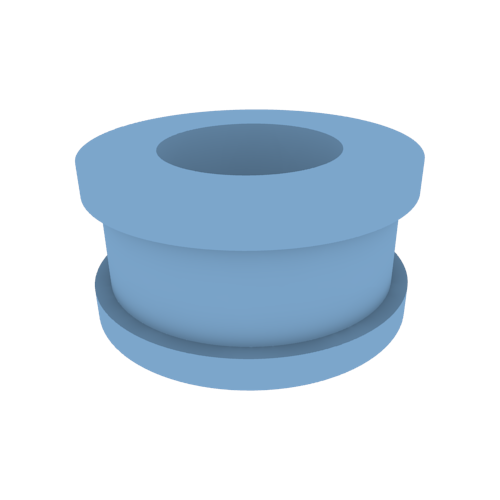 This is an improved design for the Recyclebot filament extruder's diameter sensor. 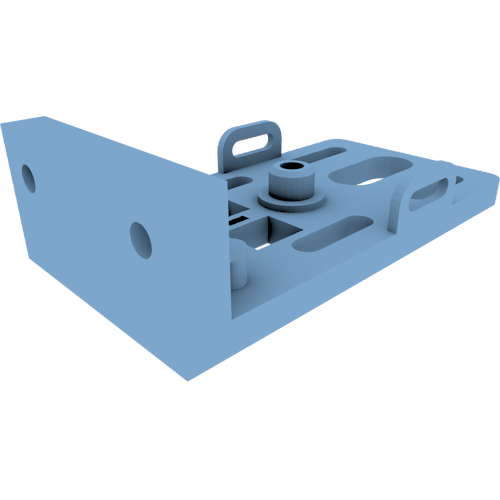 It uses mostly 3D printed parts with easily sourced hardware. 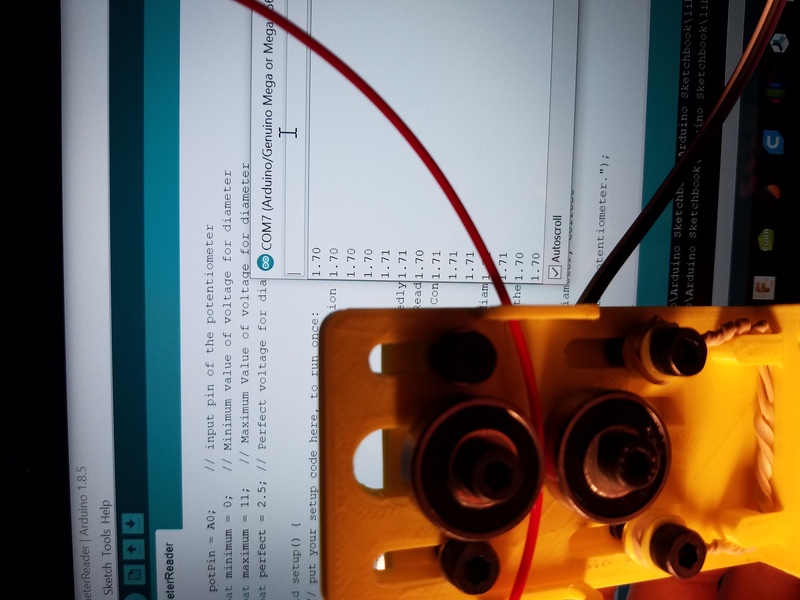 The accuracy of this device is within 0.01mm, and can send back an analog signal to an arduino to control speed of the puller to create a feedback loop for better quality control. This device replaces devices that can cost from $55 to $1000 and can be made for $5.65 (BOM is uploaded as well). 1. 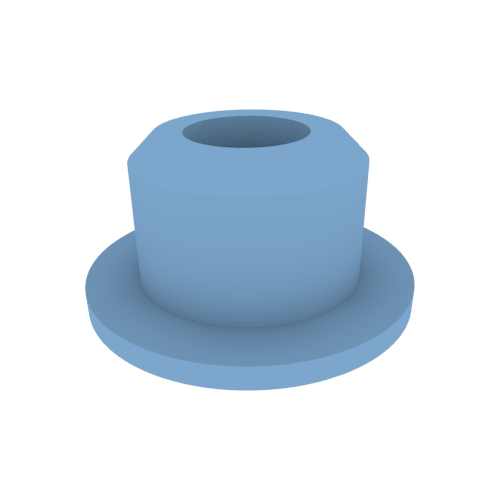 Screw a bearing into the printed base with an m5x25mm bolt, use a washer on the outside. 3. 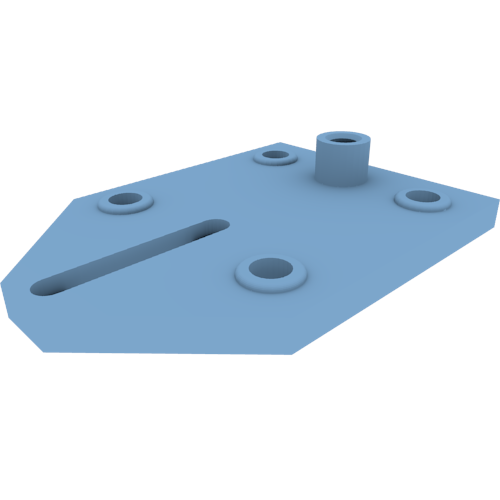 Mount the printed back plate to the base with 4X m5x25mm bolts and lock nuts and washers, making sure to insert the potentiometer lever into the square hole. Place the rubber band bushings on the 2 bottom bolts before you put them through, you will add a rubberband later on. 4. Push in the Top Washer printed part into the remaining bearing, then screw that assembly into the back plate. Sometimes it helps to tap the hole first with an M5 Tap. 5. 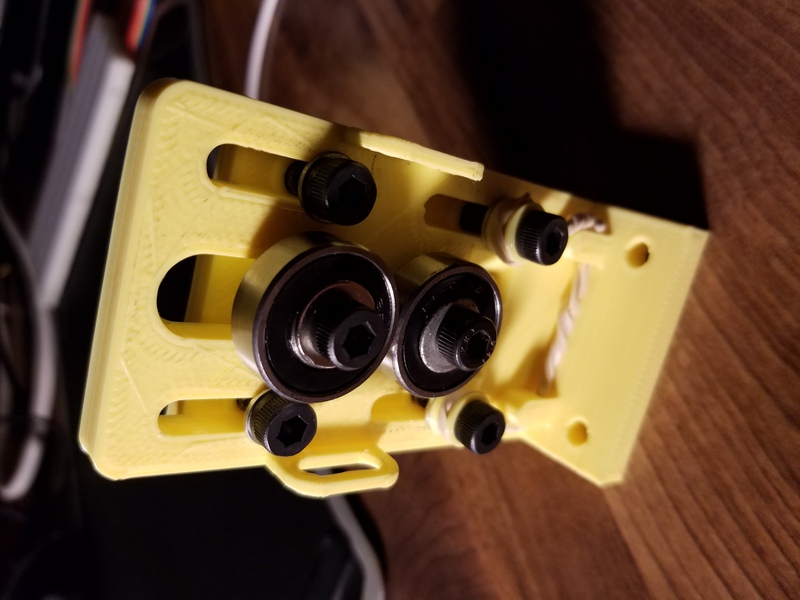 Make sure the bearings are aligned, and the back plate slides freely on the base with the potentiometer moving up and down, then put a rubberband around the bushings, and through the bottom of the base. No finishing on the printed parts required.